Two private bike-share companies received approval on Monday to drop 1,000 shareable bikes on city streets. The bikes have no docking stations and aren’t getting any public funding. Bike shares are returning to Seattle. Soon. And bigger than before. When, earlier this year, the city folded Pronto, the bike-share system it owned, it took 500 bikes off the streets. Sometime this week, there should be 1,000 shareable bikes on the streets. And in the coming months, there will likely be even more. Two big differences between these bikes and Pronto: The new bikes have no stations where bikes must be picked up and returned to. Pick one up wherever you find it and leave it at your destination. And, unlike Pronto, the bikes are privately owned and are receiving no government funding. Bike shares are booming in the United States. Nationwide, riders took about 320,000 rides on bike-share bikes in 2010, according to the National Association of County Transportation Officials. Last year, that number was 28 million. But bike shares of the sort launching in Seattle — private, for-profit and stationless — are just starting in the United States. Six weeks ago, the two companies that plan to spread bikes throughout Seattle weren’t operating anywhere else in the United States. 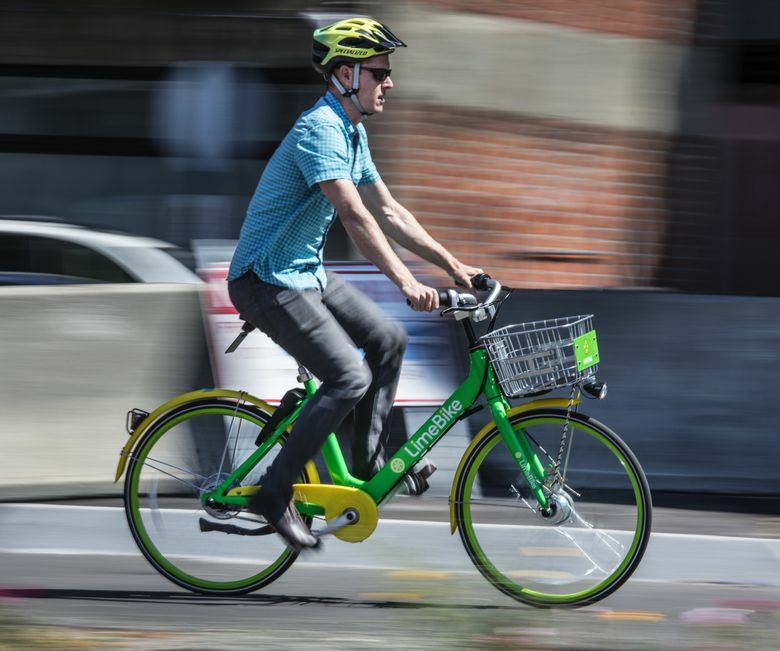 Seattle, one of the largest U.S. cities without a traditional bike share, is poised to become a testing ground for this new breed of bike share, as the two companies, and perhaps a half-dozen more, battle for riders. Both companies say they’re ready to launch and are waiting on approval from the Seattle Department of Transportation. SDOT says it expects to approve the company’s applications this week. Once approvals are in, bikes will start showing up on the streets. Pronto bike share will be gone soon, so what’s next? Here’s what you need to know about the bikes and the bike-share companies that want you to ride them. Two companies are launching in Seattle — Spin and LimeBike. Both are privately owned, based in the Bay Area and funded with millions of dollars of venture-capital money. 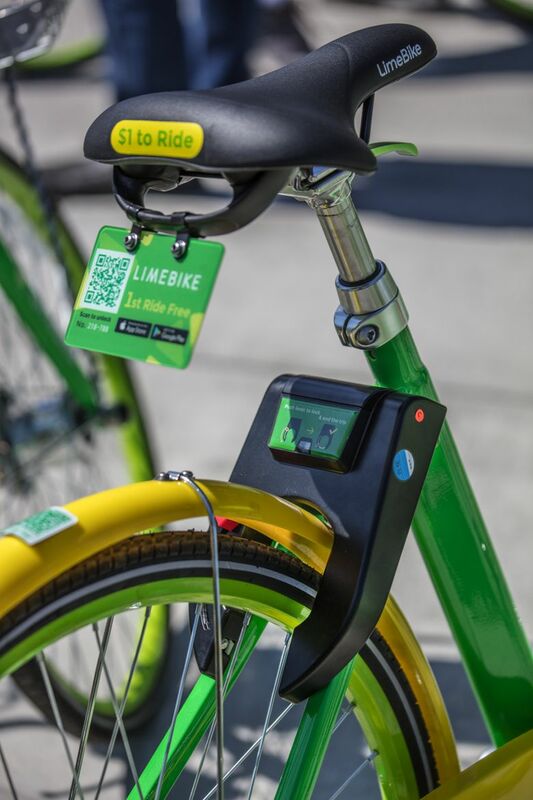 LimeBike, in the last several weeks, has started smaller bike shares in South Bend, Indiana, and at the University of North Carolina, Greensboro. Spin did a trial launch in Austin, Texas, earlier this year, but Seattle would be its first permanent city. Each company will open with 500 bikes (a number mandated by the city), but plans to expand. The city’s rules allow them to expand to 1,000 bikes each in early August, 2,000 bikes in September and however many they want in October. Both companies say they’ll start with bikes placed around downtown, Capitol Hill, South Lake Union and other center-city neighborhoods, and will branch out more to other neighborhoods as they’re allowed to expand. 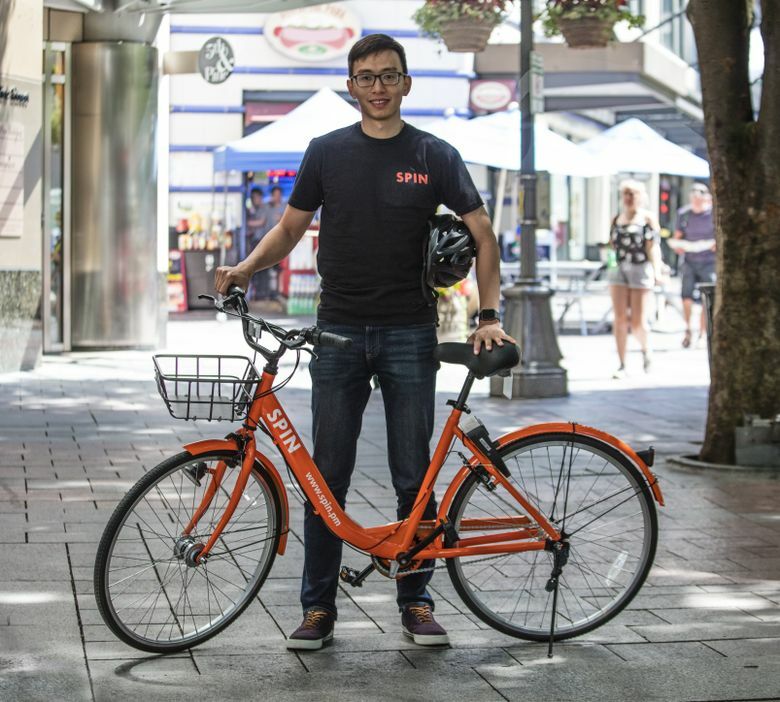 At least two other companies — VBikes and Koloni Share — say they have plans to open in Seattle in the coming weeks or months, but are not as far along in the application process. Both companies work the same way. Download their app on your smartphone and enter your credit-card information. On the app, a map will pop up showing nearby bikes. Find one. The bikes have a lock through their back wheel. You unlock it by scanning a QR code on the bike with your phone’s camera, or typing a numerical code into your phone. Like magic, the bike unlocks. Ride it where you want to go. When you’re done, put the lock back through the wheel and leave it. The companies tout the service as ideal for a quick trip across a neighborhood or as a first- and last-mile option for commutes — take a bike from your house to the light rail or from your bus stop to your workplace. Not much — $1 for a 30-minute ride and another $1 for each 30 minutes after that. Both companies say they can make money by attracting a high volume of riders and by ditching the overhead costs associated with docking stations. But both companies will likely also look to sell advertising within the app at some point. Picture the app, which knows your location and also — if you use it frequently — your riding habits, recommending a local coffee shop. Where do you leave the bike? Pretty much wherever, but use common sense. You can’t block the street or the sidewalk. Bikes are supposed to be parked in the “landscape/furniture zone” of the sidewalk. That’s the strip of pavement between the street and the traveled part of the sidewalk, where trees, parking meters and bike racks tend to be. Don’t leave the bikes on grassy areas, at bus stops, in loading zones or on sidewalk corners. SDOT wrote the rules and has authority over streets and sidewalks; it can’t give permission for the bikes to be left in public parks (which aren’t under SDOT jurisdiction) or on college campuses. So those are a gray area, for now. If it’s a place where you’d lock your own bike, it’s probably a good place to leave a bike-share bike. Spin’s are orange; LimeBike’s are bright green with yellow trim. Beyond that, they’re pretty similar, but LimeBike may be better suited for Seattle’s terrain. They both have steel frames and are sturdy and pretty heavy. Both have in-hub gears, drum brakes, foam-filled anti-flat tires, a chain guard and front and rear fenders. Both have a basket in front with a solar panel that charges the locking mechanism in the back. Spin has a light in front and runs off a battery that charges when the front wheel spins; LimeBike has lights in front and back and the same charging mechanism. The big difference: LimeBike has eight gears to Spin’s three, and the lowest gears are much easier to pedal than Spin’s lowest gears. That’s a big advantage when riding up Seattle’s hills. Yeah, what about Seattle’s hills? You don’t have to ride up them if you don’t want. Seattle’s terrain means a lot more bikes are going to be left at places like the waterfront (bottom of the hill) than places like Volunteer Park (top of the hill). Both companies will have local teams to redistribute bikes, as needed, throughout the city. You’re supposed to wear one in King County, it’s the law. Helmets will not be provided with the bikes (although LimeBike says they’re giving away 1,000 helmets at street fairs and promotional events) and riders are responsible for providing their own. Will the helmet law discourage bike-share use? Only time will tell. Seattle has been enforcing its helmet law less in recent years, with only 41 citations issued in 2016, down from 607 in 2011, according to Municipal Court data. 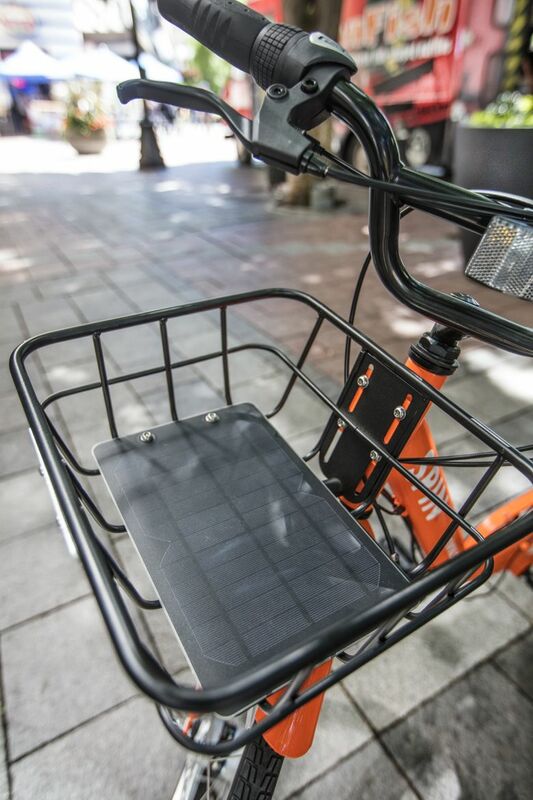 The Seattle Department of Transportation recently completed a list of rules and permit requirements for privately owned bike shares. The city isn’t funding the bike shares in any way and is in fact collecting modest fees from the companies (about $9,300 initially, with an additional $15 per-bike fee beyond 500 bikes). The companies are required to provide the city with data about how often the bikes are used and where people ride them. The companies are operating under a pilot program that runs through December, at which point the city will evaluate how bike sharing has gone and decide whether to continue. Why should you use bike share?